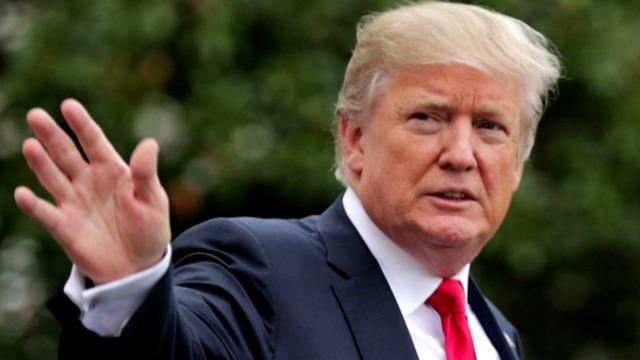 WASHINGTON -- President Trump is skimming over the facts involving the investigations into Russian meddling in the 2016 election. In a series of tweets Sunday, he repeatedly assails special counsel Robert Mueller's probe as hopelessly biased, insisting that it is effectively controlled by Democrats. He also repeats a claim that his campaign had been cleared of collusion with Russia. TRUMP: "At what point does this soon to be $20,000,000 Witch Hunt, composed of 13 Angry and Heavily Conflicted Democrats and two people who have worked for Obama for 8 years, STOP! They have found no Collussion with Russia, No Obstruction, but they aren't looking at the corruption..."
THE FACTS: Mr. Trump's suggestion that Mueller's team is a Democratic cabal is unsupported. Mueller is a Republican and some others on his team owe their jobs largely to Republican presidents. Some have indeed given money to Democratic candidates over the years. Mr. Trump makes a false allegation that Mueller worked for President Barack Obama for eight years. Mueller was FBI chief for less than six years under Obama, leaving in September 2013. He was chosen to lead the FBI by Republican President George W. Bush in 2001 and kept on by Obama. TRUMP: "The Witch Hunt finds no Collusion with Russia - so now they're looking at the rest of the World. Oh' great!" THE FACTS: There has been no definitive resolution as to whether the Trump campaign coordinated with Russia in the 2016 election, with government investigations still continuing. The special counsel's probe into Russian meddling has produced a number of charges and convictions, none to date alleging criminal collusion. It continues to explore whether collusion occurred and whether Mr. Trump or others may have obstructed justice. TRUMP: "Now that the Witch Hunt has given up on Russia and is looking at the rest of the World, they should easily be able to take it into the Mid-Term Elections where they can put some hurt on the Republican Party. Don't worry about Dems FISA Abuse, missing Emails or Fraudulent Dossier!" THE FACTS: Mr. Trump insists that the investigations into possible Russian interference -- which he often refers to as a "witch hunt" -- have given up on Russia, suggesting no meaningful evidence exists that implicates the country in his 2016 win over Democrat Hillary Clinton. In fact, the Senate intelligence committee said last week that it agrees with the U.S. intelligence agencies' assessment that Russia intervened in the presidential election to help Mr. Trump. The Senate committee is continuing to investigate whether Russia colluded with the Trump campaign. Sen. Richard Burr, R-North Carolina., chairman of the committee, said his staff spent 14 months "reviewing the sources, tradecraft and analytic work" conducted by the intelligence agencies. He said the committee uncovered no reason to dispute the conclusions of the intelligence assessment released in 2017.